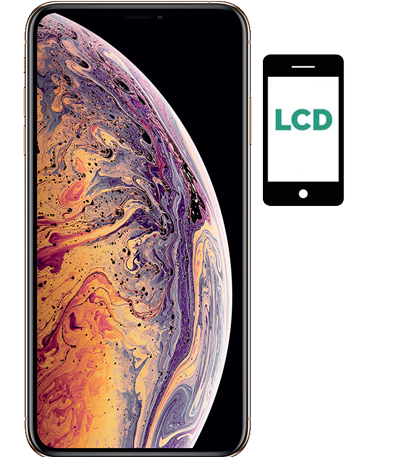 Apple iPhone XS Max screen replacement service in ✓ 30 minutes at ✓ Lowest cost & ✓ warranty Up to 2 Years. Take advantages of ✓ Onsite Repair ✓ Free pick up & drop ✓ 1 Day Turn around Service. We have our repair chain in Powai - Mumbai, Goregaon - Mumbai, Naupada - Thane West & Sanpada - Navi Mumbai. Accidents happens, so with Apple iPhone XS Max. It may break the bank to replace the phone with additional charges. But you can save some bucks by just replacing the iPhone XS Max Screen with the AppleSolution. AppleSolution Provides a best and various options for your iPhone XS Max screen repair. iphone XS Max screen replacement cost in Mumbai. color lines on iphone XS Max screen. replace iphone XS Max broken glass.